Item 1.01.Entry into a Material DefinitiveAgreement. On November 7, 2018, Smith Micro Software, Inc. (the “Company”) completed a private placement with several investors, wherein a total of 3,239,785 shares of the Company’s common stock, par value $0.001 per share (the “Common Stock”) were issued at a purchase price of $2.32 per share, with each investor also receiving a warrant to purchase up to a number of shares of Common Stock equal to the number of shares of Common Stock purchased by such investor in the Offering at an exercise price of $2.20 per share (the “Warrants”), for a total purchase price of approximately $7,500,000 (the “Offering”). Further, as part of the Offering, previously issued warrant agreements were amended, which allows the Company to reclassify them as equity. It is anticipated that the Offering will raise net cash proceeds of approximately $6,900,000 (after deducting the placement agent fee and expenses of the Offering). The Company intends to use the net cash proceeds from the Offering for general corporate use and to repay certain short and long-term debt obligations. The Company engaged Chardan Capital Markets, LLC (“Chardan”) as placement agent for the Offering to an engagement letter agreement. The Company agreed to pay Chardan a cash placement fee equal to 6.0% of the gross proceeds of the Offering. The Company has also engaged Roth Capital Partners, LLC (“Roth”) as its financial advisor for the Offering.The Company agreed to pay Roth a cash fee equal to 2.0% of the gross proceeds of the Offering. In connection with the Offering, the Company entered into a Securities Purchase Agreement (the “Purchase Agreement”) with investors containing customary representations and warranties.The Company and investors also entered into a Registration Rights Agreement under which the Company will prepare and file a registration statement (the “Resale Registration Statement”) with the Securities and Exchange Commission (“SEC”) for the purpose of registering the resale ofshares of Common Stock issued in the Offering, and the shares of Common Stock underlying the Warrants issued in the Offering. 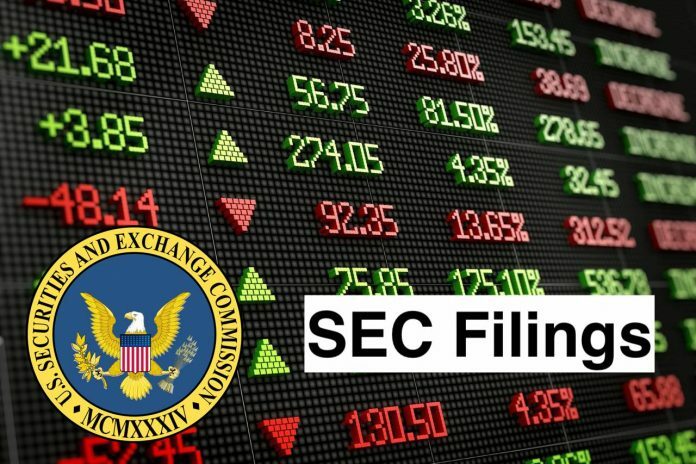 The Company will use its reasonable best efforts to cause the Resale Registration Statement to be declared effective by the SEC within 30 days after the filing thereof (60 days in the event the registration statement is reviewed by the SEC). If the Company fails to meet the specified filing deadlines or keep the Resale Registration Statement effective, subject to certain permitted exceptions, the terms of the Registration Rights Agreement provide that the Company will be required to pay liquidated damages to the purchasers. The Company also agreed, among other things, to indemnify the selling holders under the Resale Registration Statement from certain liabilities and to pay all fees and expenses incident to the Company’s performance of or compliance with the Registration Rights Agreement. The representations, warranties and covenants contained in the Purchase Agreement were made solely for the benefit of the parties to the Purchase Agreement and may be subject to limitations agreed upon by the contracting parties. In addition, such representations, warranties and covenants (i)are intended as a way of allocating the risk between the parties to the Purchase Agreement and not as statements of fact, and (ii)may apply standards of materiality in a way that is different from what may be viewed as material by stockholders of, or other investors in, the Company. Accordingly, the Purchase Agreement is filed with this report only to provide investors with information regarding the terms of transaction, and not to provide investors with any other factual information regarding the Company. Stockholders should not rely on the representations, warranties and covenants or any descriptions thereof as characterizations of the actual state of facts or condition of the Company. Moreover, information concerning the subject matter of the representations and warranties may change after the date of the Purchase Agreement, which subsequent information may or may not be fully reflected in public disclosures. The Offering was exempt from the registration requirements of the Securities Act of 1933, as amended (the “Securities Act”) to the exemption for transactions by an issuer not involving any public offering under Section4(a)(2) of the Securities Act and Rule 506 of Regulation D of the Securities Act and in reliance on similar exemptions under applicable state laws. Each of the Purchasers represented that it is an accredited investor within the meaning of Rule 501(a) of Regulation D, and was acquiring the securities for investment only and not with a view towards, or for resale in connection with, the public sale or distribution thereof. The securities were offered without any general solicitation by the Company or its representatives. The foregoing description of each of the Purchase Agreement, Registration Rights Agreement and Form of Warrant is qualified in its entirety by reference to the forms of such documents which are filed hereto as Exhibits 10.1, 10.2, and 10.3 respectively. The matters described in Section 1.01 of this Current Report on Form 8-K are incorporated herein by reference. On November 7, 2018, the Company issued a press release announcing the Offering, which is furnished as Exhibit 99.1 hereto.The information in Exhibit 99.1 shall not be deemed “filed” for the purposes of Section18 of the Securities Exchange Act of 1934, as amended, or otherwise subject to the liabilities of that section. Item 1.01Financial Statements and Exhibits.